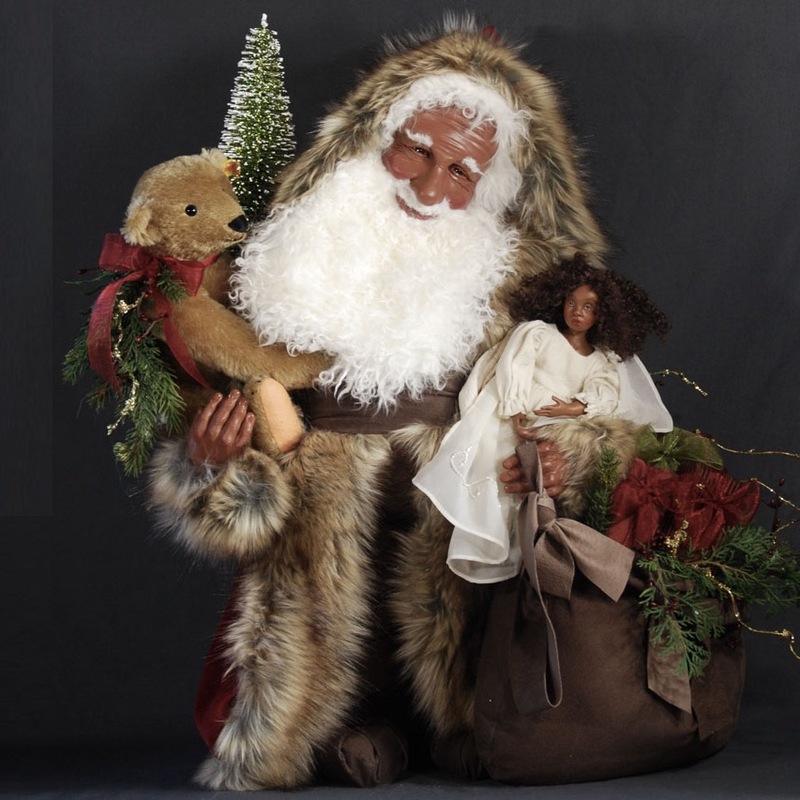 Time To Believe is a beautiful African American Santa. 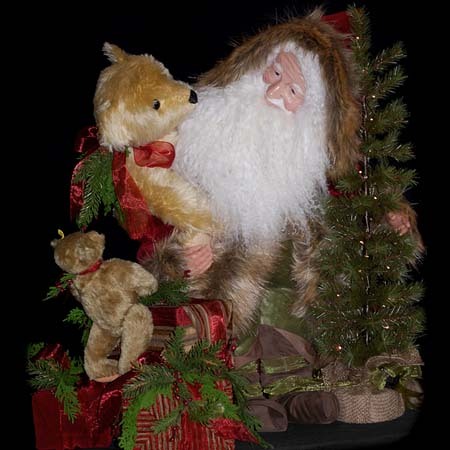 His cloak is a rich dark red velvet with luxurious brown faux fur and has boots, cummerbund and bag made from beautiful brown suede. 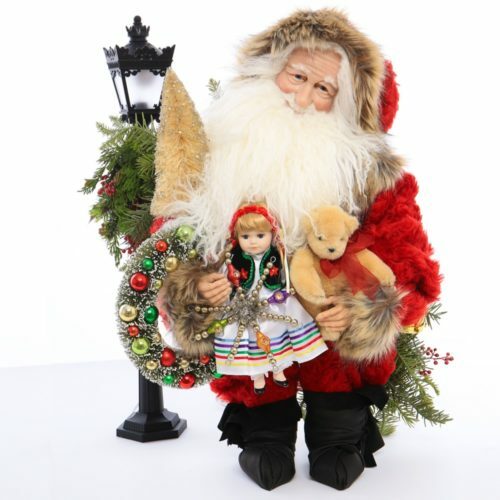 This collectible Santa is adorned with a vintage Steiff bear and porcelain angel doll (will vary as they are vintage). He also has a large suede bag of elegant fabric wrapped packages and Christmas greenery. He also carries a garland of berries and greenery on his back. He is 26 inches tall and truly unique. 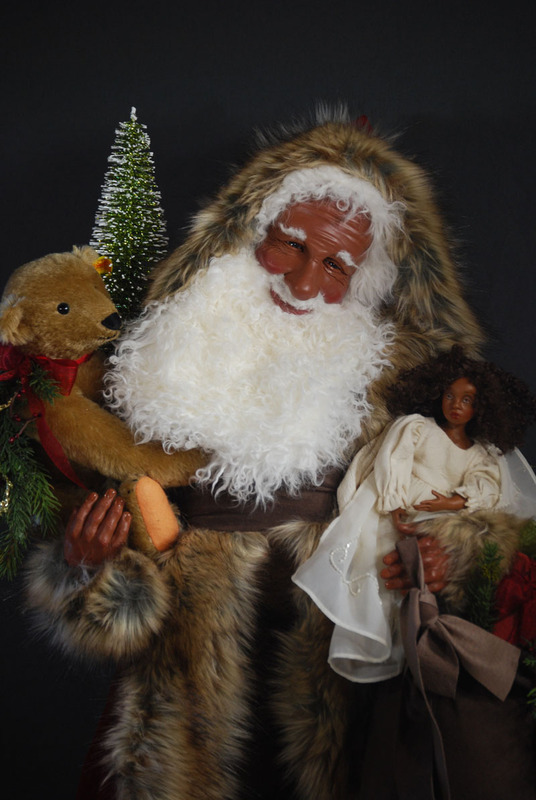 He has dark brown eyes, a Tibetan wool beard, and a hand sculpted face making him a one of a kind treasure. 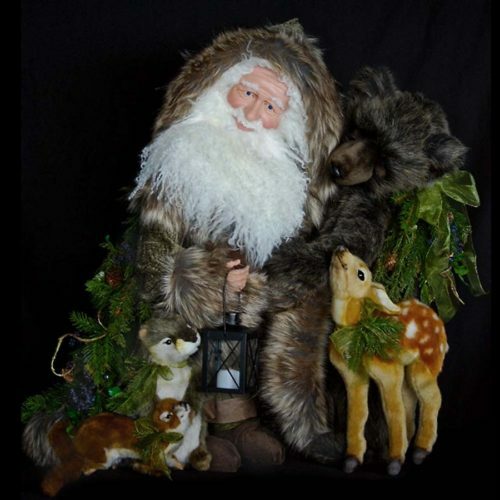 If you are looking for an excellent addition to your holiday decorations, this one may be the perfect choice!